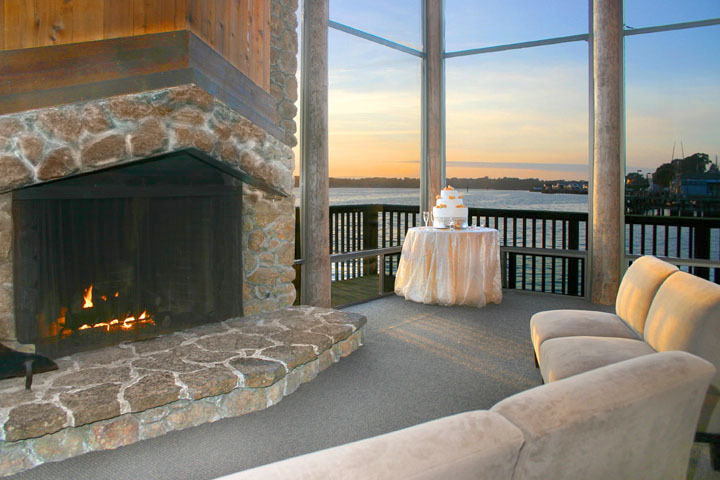 Located in beautiful Bodega Bay, just an hour’s drive from San Francisco and a two hour drive from Sacramento, The Bodega Harbour event venue dubbed “The Yacht Club” sits upon its own oceanfront property, offering views of the entire Bodega Bay. The experts at The Bluewater Bistro specialize in custom designing each menu for each individual event. They are the largest indoor banquet space in the Bodega Bay area and the only inclusive beach wedding site in Sonoma County. If you are interested in a personal tour of The Bodega Harbour Yacht Club for your Wedding Reception Party or special event, please contact their Director of Sales and Marketing, at 707-875-3519 and mention DJ Mike Flanagan recommended them. I know you will be happy with the staff and the drive to and from is almost memorable as the location with the Pacific Ocean in view almost non stop. The reception dinner from Bluewater Bistro was delicious and the bridal party happy with wedding cake.